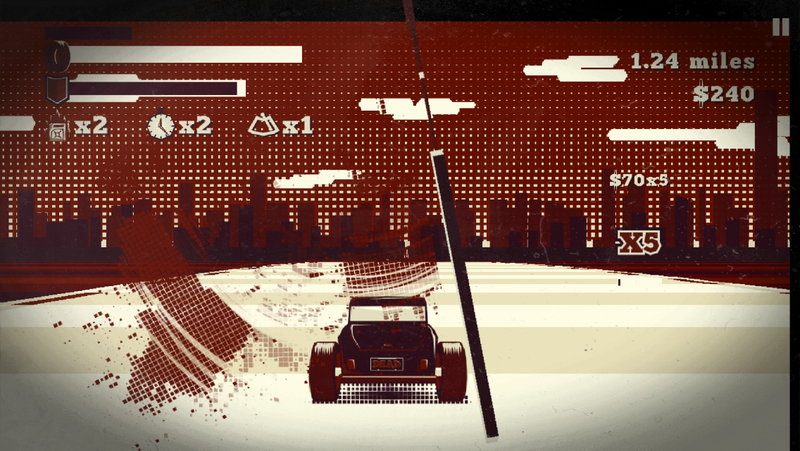 Coming directly from the 70′s, Dead End is mix between old-fashioned racing games and grindhouse horror movies. 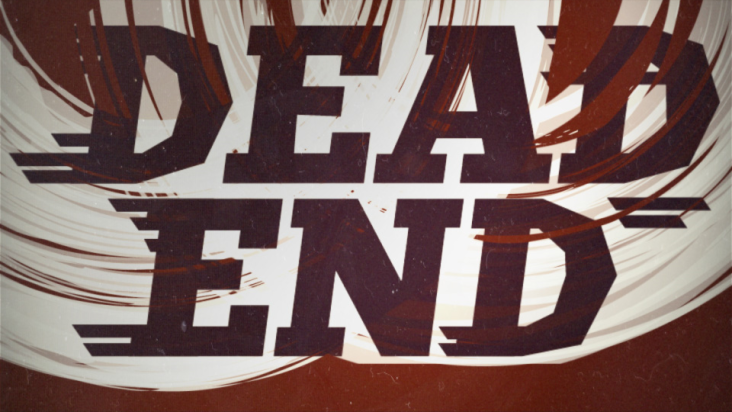 Dead End is a collaboration between two french studios: Flying Oak Games and Sparkling Vinegar. Both are born from game jams and met together in such events. 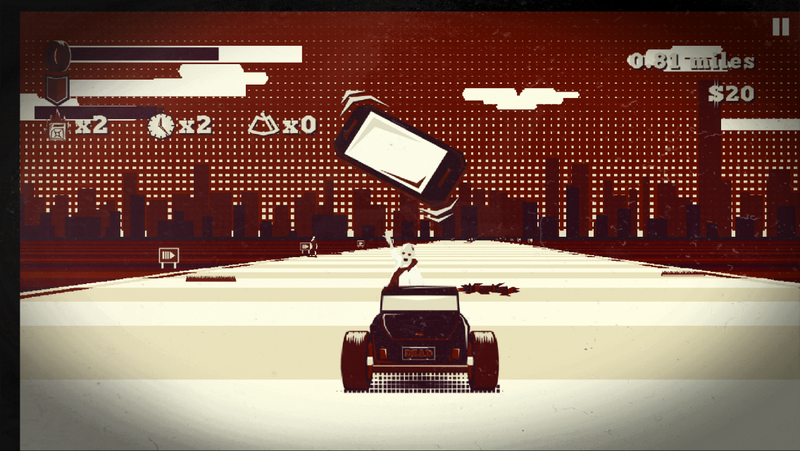 Old-school arcade racing game with infinite road generation. 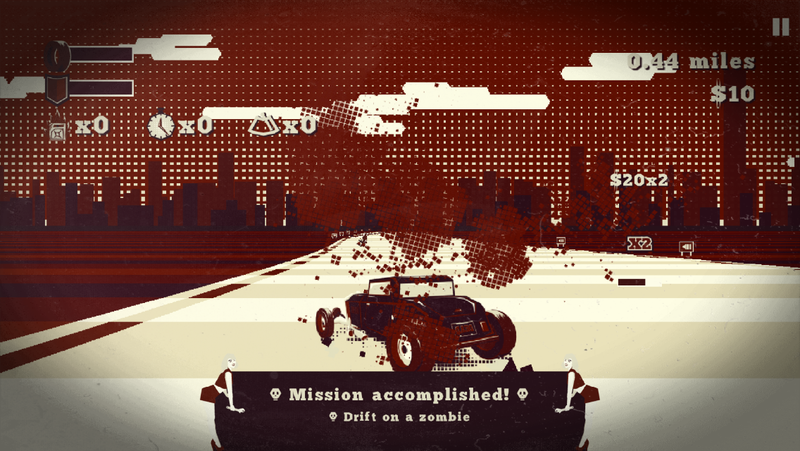 Smash zombies and use wind-shield wipers to clean the mess. 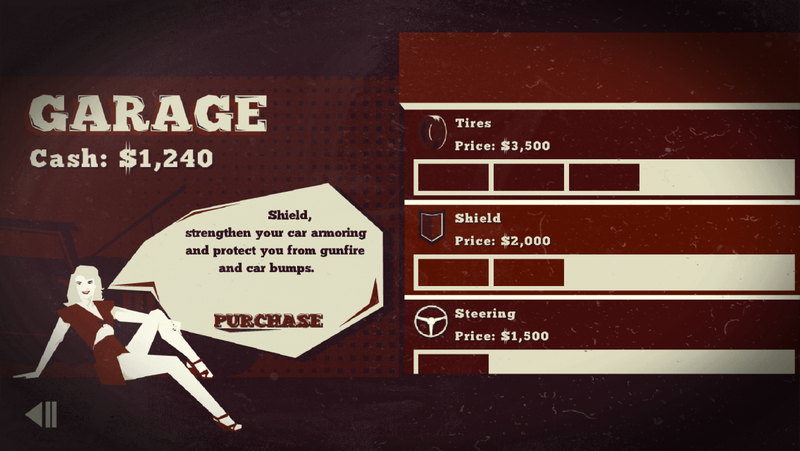 Upgrade your car to go farther. 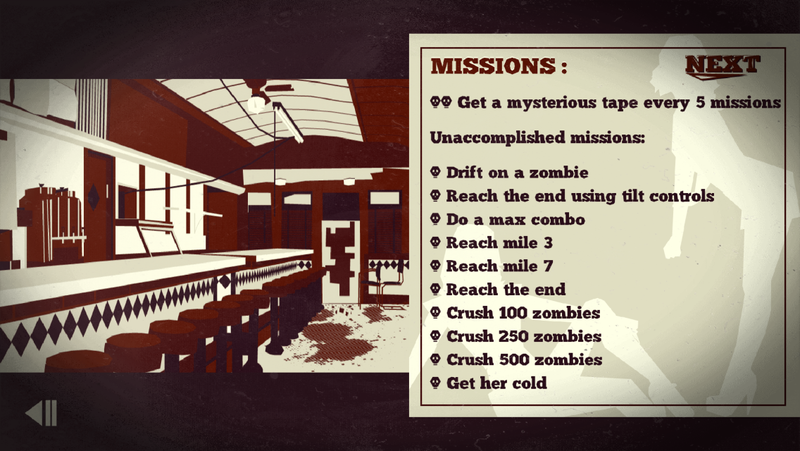 Complete missions and beat your friends highscore online. 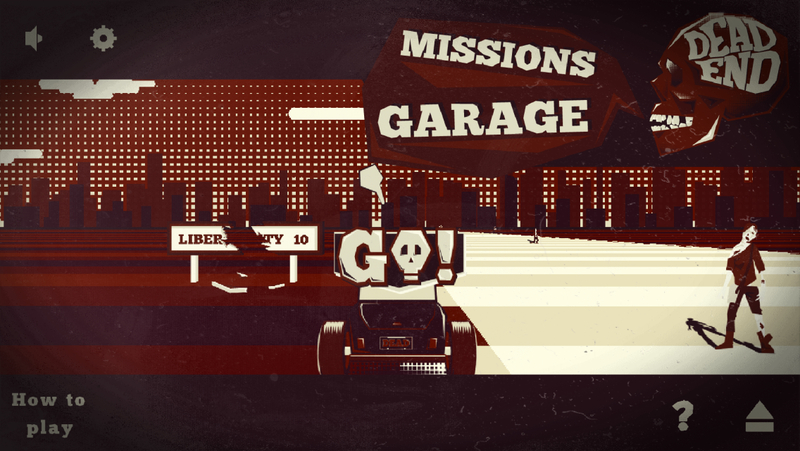 There are currently no logos or icons available for Dead End. Check back later for more or contact us for specific requests! "Gérardmer's International Horror Films Festival 2014 - Official Selection"